An underwhelming narrative lifted slightly by a set of irresistibly catchy musical numbers. 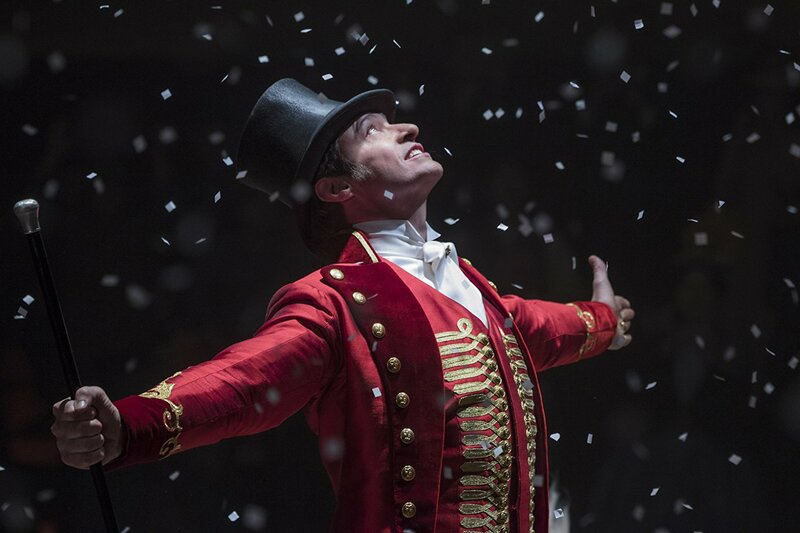 The Greatest Showman fails to reach the dizzying heights of this year's musical mayhem but is still an enjoyable feel-good family tale for the festive period. The critical success of La La Land and outstanding box office performance of Disney’s latest adaptation of Beauty and the Beast have undoubtedly made 2017 the year of musical resurgence. It has been years since musicals attracted an audience the size of those that fell in love with the genre back in the Golden Age of Classical Hollywood, but its recent success has created a new opportunity for filmmakers to tell their stories alongside a set of toe-tapping tunes. Aiming to tap into this opportunity, along comes the star-studded The Greatest Showman – a directorial debut for Michael Gracey. Inspired by true events, The Greatest Showman follows the character P.T. Barnum (Hugh Jackman), a family man and entertainer. Following the loss of his job, Barnum risks everything to create a curiosity museum and circus, aiming to prove himself to the parents of his upper-class wife Charity (Michelle Williams) and give his two daughters a better childhood than the one he experienced. It’s a heartfelt, feel-good story perfect for the musical genre – there’s nothing here that cannot be explained by a well-timed burst into song. This is a film that appears to know exactly what type of audience its aiming for. Its Boxing Day UK release, cast that will be recognised by the whole family and story that, if not a little preachy, seems to have its morals very much in check make The Greatest Showman an almost certain success for those who flock to the cinema most at this time of year – families. The beauty of this film could easily lie in simplicity, we’ve seen enough family-orientated films to know roughly where this narrative will end up and The Greatest Showman isn’t designed to challenge or provoke its audience, making it a real shame that somehow the narrative becomes crowded and muddled. Too much is squeezed into what becomes a weak script and as a result it is hard at times to work out what direction Gracey is aiming for. The love story between Phillip (Zac Efron) and Anne (Zendaya) almost feels as if its been thrown in as an afterthought – neither actor is used to their full potential – and the constant repetition of scenes that emphasise Barnum’s masculine crisis of providing for his family become tedious, this narrative cramming meaning that the film’s key events including a potentially tragic flashpoint feel rushed and hollow. However, it’s hard to name a bad song in The Greatest Showman. The tightly polished musical numbers are well delivered by an experienced cast; Hugh Jackman (who proved his musical credibility in Les Miserables) and Zac Efron (an actor whose musical performances in High School Musical and Hairspray are less critically respected but equally as enjoyed by a wider audience) lead an entire ensemble that cannot be faulted for their efforts. ‘A Million Dreams’ and ‘This is Me’ in particular do their upmost to drag the story out of flat territory and push the film into true feel-good territory – at least one of these songs is sure to be stuck in your head long after the credits have rolled. The Greatest Showman delivers a soundtrack that could easily prove to be a greater success than any DVD release with the musical numbers exceeding all of the technical elements on display. Although it’s undeniably feel-good and musically impressive, The Greatest Showman falters at the simplest tasks. Attempts to cram too much into what should be a simple yet effective family story create a mismatched narrative that’s a bit all over the place, leaving us to wonder if this really is the greatest show ever seen. The Greatest Showman (2017), directed by Michael Gracey, is distributed in the UK by 20th Century Fox, Certificate PG.